ECOBLAST Rechargeable Air Horn - Save Money, Save the Environment! Never buy another refill - recharges with air! Recharge the ECOBLAST quickly and easily with air from the included hand pump, a bicycle pump, a service station air pump or compressor (100 psi recommended). 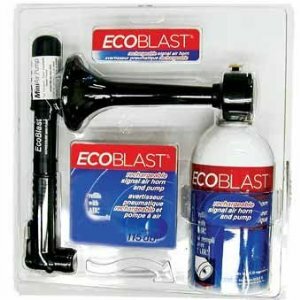 A regular air horn has about 70 to 80 blasts from a 12-ounce can - the ECOBLAST gets thousands of blasts over its lifetime. And when the old airhorn runs out of air, you have to throw it away as opposed to the ECOBLAST, which you simply refill with air. 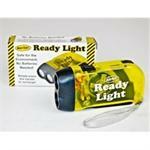 Fantastic safety and survival item when boating, biking, hiking, or camping. The ECOBLAST refillable air horn also has the ability to be used in all weather conditions. Regular air horns usually will not operate in very cold temperatures. Plus, with ECOBLAST there's no worry about a potentially harmful chemical escaping into the environment... it only uses air! 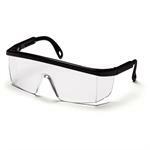 Keep one on your boat, at the office in case of an emergency, or bring to a sporting event to get attention. Either way an ECOBLAST air horn is a great investment. Many women have found comfort by having an airhorn by their bedside on the nightstand for an extra measure of security. For boating and hiker safety carry a loud noise making airhorn. 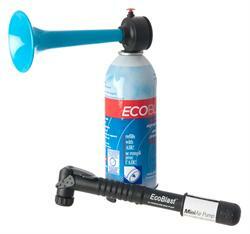 From sportsman to sport fans an ECOBLAST refillable airhorn is just the right tool. Aluminum Canister - Not Plastic! Photos are representation only; actual items may vary from pictures shown.